It was the second time Arlen Birch had been back to play against his old club. 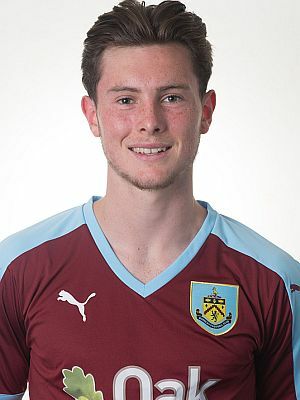 He was in the Burnley team, then playing as a trialist, when we beat them 4-0 at the same venue back in September. Joey Barton scored his first Burnley goal that day from the penalty spot with Ntumba Massanka netting twice and Cameron Dummigan also on the scoresheet. It was another four today but only after Everton had secured that two goal advantage within the first 21 minutes. The first was an own goal from Shaun Hobson and the second a volley following a right wing cross. We got back into the game quickly and had pulled one back within a minute of that second goal when Josh Ginnelly made the most of a defensive error to score and it was 2-2 by half time when Josh Dolling converted a ball into the box from Birch. It all got better in the second half. Within two minutes of the restart we were in front with a stunning effort from Aiden O'Neill (pictured) after Renny Smith had dummied a Ginnelly corner. Ginnelly was involved in the fourth goal too, setting up Dolling for his second with just over 20 minutes remaining. It was a young Burnley team with five members of the youth team in the starting eleven. We lined up: Tony Aghayere, Andreas Bianga, Arlen Birch, Shaun Hobson, Andy Nugent, Josh Ginnelly (Mark Howarth 71), Aiden O'Neill, Brandon Wilson, Renny Smith, Jamie Frost (Nashe Chakwana 71), Josh Dolling (Tommy Wood 71).